Since moving to its new digs on 3rd Street near Jack London Square, the Oakland Opera Theater has produced opera less frequently than before, which is a shame, because the company does something very few do: produce new opera by composers and librettists writing today and in the talent-filled San Francisco Bay Area. The Oakland Opera Theater does new opera exceptionally well. For the past two weekends the Oakland Opera Theater has presented Dark River by composer and, in this case, librettist Mary D. Watkins. A prodigiously gifted performer and composer, Watkins has worked in a wide variety of musical styles—jazz, gospel, country, rock, classical and pop—for solo piano, wind ensembles, string quartet, chamber and full symphony orchestra in many performing genres—theater, dance and film. All of this has garnered her national acclaim and won her a number of high-profile foundation awards. Dark River is Watkins second opera, and it’s about Mississippi sharecropper Fannie Lou Hamer. 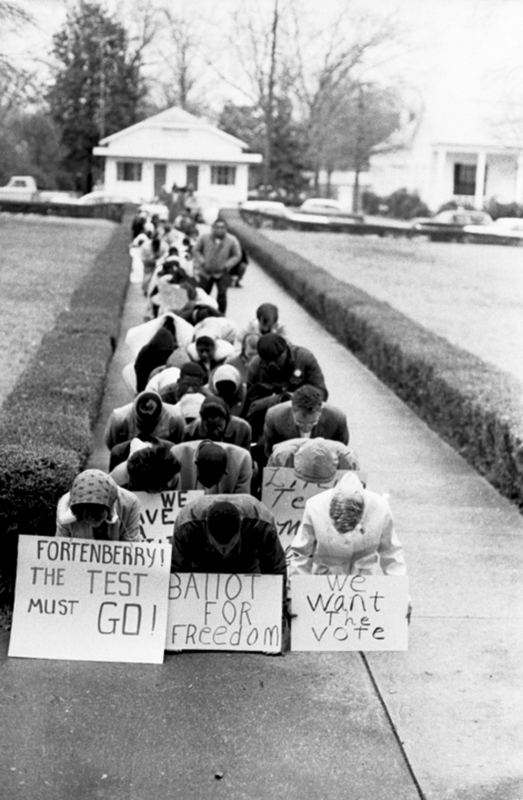 In 1962 members of the Student Nonviolent Coordinating Committee (SNCC) came to Ruleville, Mississippi, to register African American voters. Hamer, at that time 44, didn’t know she had a constitutional right to vote, but she was the first to volunteer to register, and she went on to become one of the leading figures of the civil rights movement. Musically, Watkins has used gospel as the opera’s foundation, which fits with Hamer’s deep religiosity and that of the African-American community she was a part of. Hamer’s endurance, passion, intelligence and bravery are well drawn in the opera’s 23 succinct scenes, which trace the story of her life. Each scene comprises one song, seamlessly woven between soloists and ensemble throughout the opera, which in turn conveys not only a historical moment in time but also what is pivotal about that moment. Never once does the movement of the action seem forced or tedious, from the opening prayer in a cotton field for a 14-year-old boy beaten to death by white racists to the political maneuverings of the 1964 Democratic Convention, where Hamer and other Mississippi sharecroppers went to draw the nation’s attention to illegal voter registration practices in the south. It’s often difficult to write politics into art, but Watkins has done what is necessary to free the opera from being simply journalism or diatribe; she has focused on the emotional and the personal—primarily on how racial hatred causes pain and confusion within the soul. The tender song by the young Fannie, “I wish I was white”—sweetly sung by the beautiful young Bolanle Origuna—summarizes how the opera aligns itself with the sighs of the human heart, even when the text is taken from political speeches and reportage. Humor is included as well, in such neat and pointed directing by Darryl V. Jones, when he has Lyndon Johnson, portrayed by bass Kenneth Woods, roaming his convention hotel room in his boxer shorts, phone in hand, closing his aria by scratching his bum. And then finally, there is Hamer herself, sung wonderfully and with inspiring endurance, by soprano Raiña Simons. Any time a singer has to take on a “title” role, she can be assured the task at hand is formidable, and that ultimately the success of the opera will be her responsibility. Besides having a lovely rich voice, Simons handled the role with grace and passion. Her answering aria to the Sheriff’s wife, “I’ve never been free,” stands out as quintessential to the character, the final notes dwelling in an exquisitely toned part of Simons’ voice. Deidre McClure conducted the fine six-performer band with Oakland Opera Theater Music Director Skye Atman at the piano. The singing was terrific, the commitment of all the participants profound, the staging interesting, the music brilliant. More of these operas—and this opera company—should be supported, and richly, by the community.